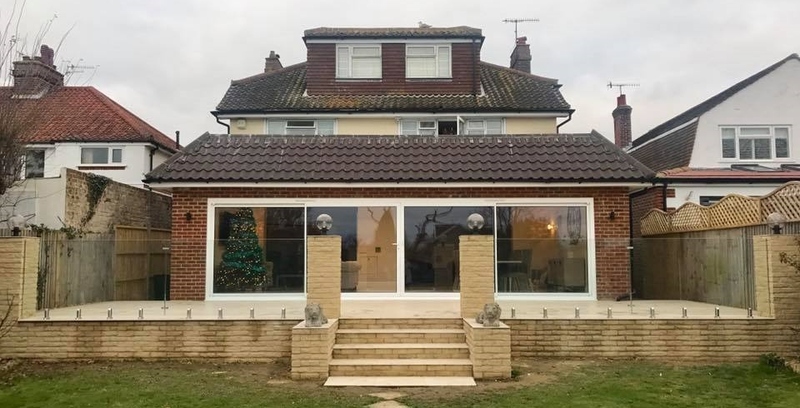 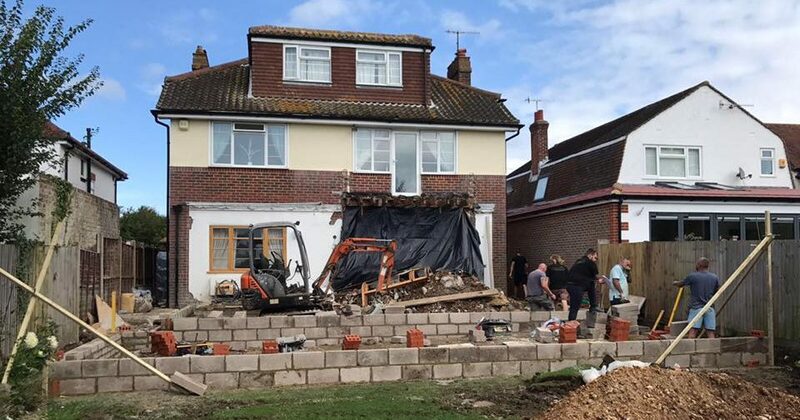 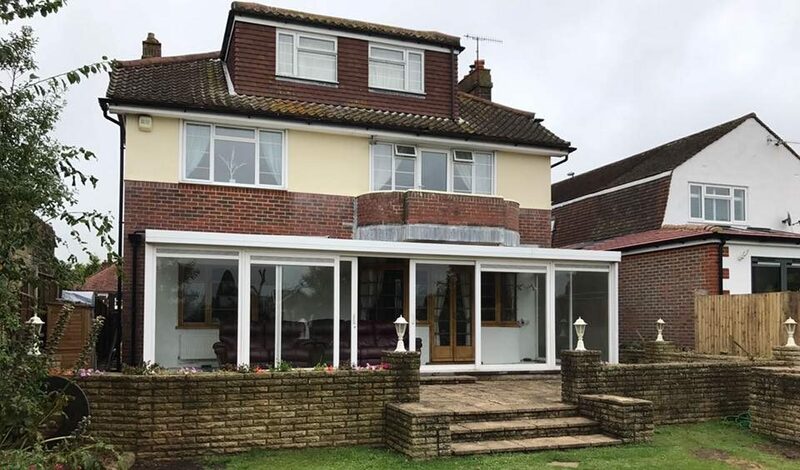 Upper Shoreham Road, Shoreham By Sea, Rear Extension & Patio. 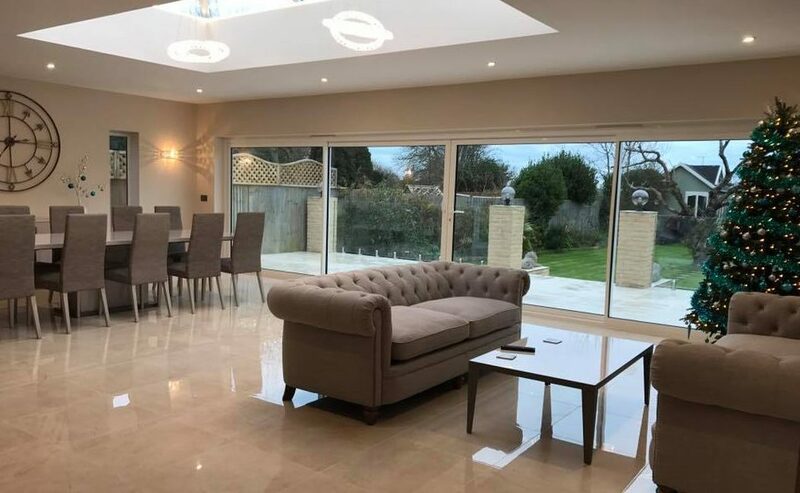 Mr & Mrs Wright wanted to create an open plan living area for all of their family to enjoy and relax in. 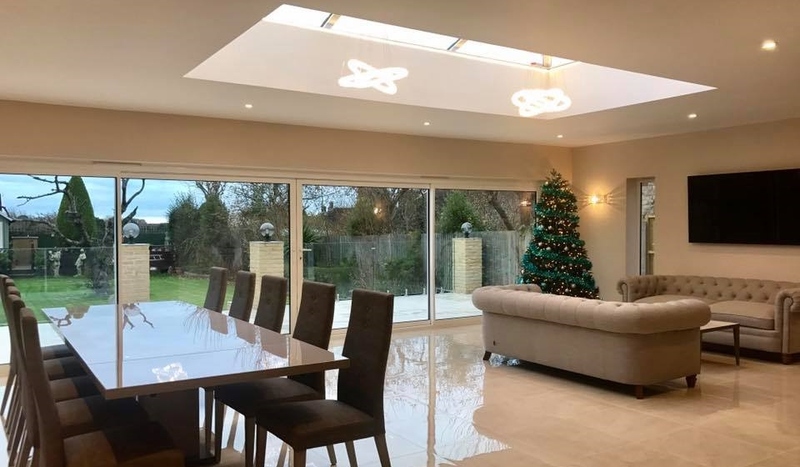 We constructed a 9.8m x 6m Rear extension incorporating a large roof lantern and 4 pain sliding doors to let in a huge burst of natural light. 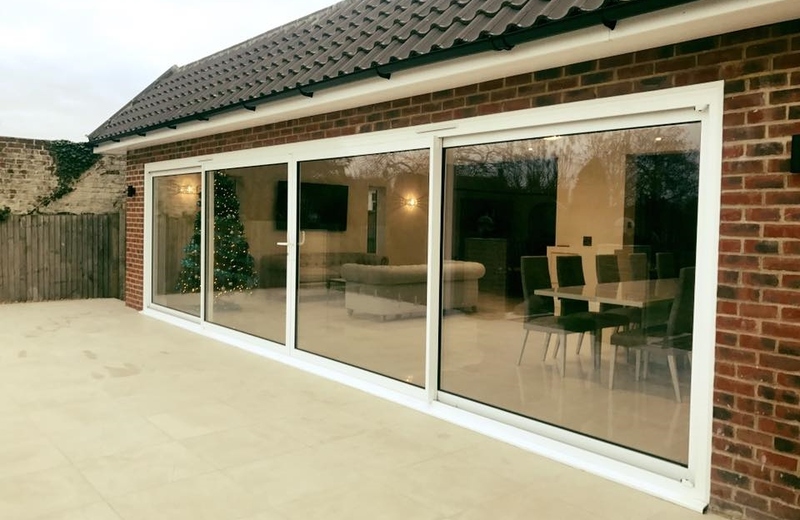 The finish on this project is stunning and one we will always remember and cherish working so closely with our customers here to achieve their dream Extension. 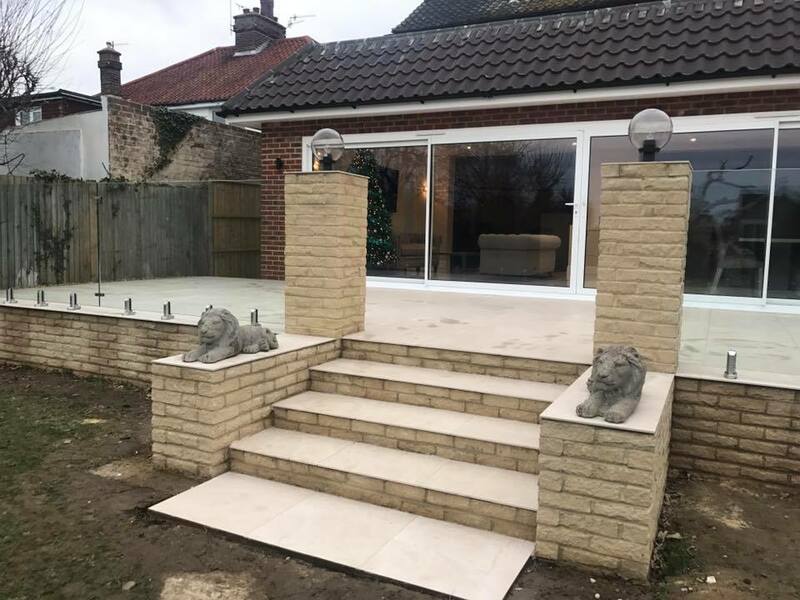 Outside we created a beautiful natural tiled patio with glass balustrade and stone pillars to a bespoke design, followed by steps leading down onto their lawn.